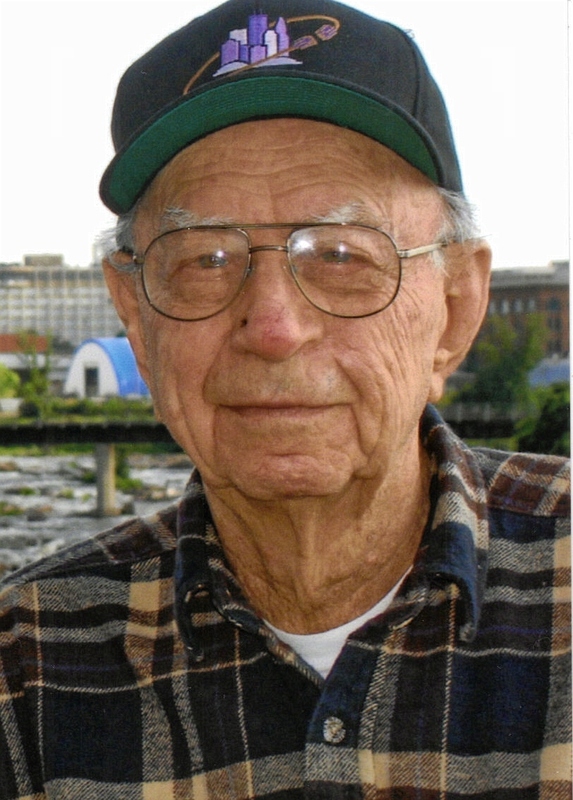 Raymond Luverne Johnson (Ramon), 89, passed away October 27, 2010 at the Good Samaritan Village in Sioux Falls. He was born March 3, 1921 in Beresford. He also grew up in Beresford living with his parents, Holger and Isabel, and helping with the family farm. He had a fun filled childhood being surrounded by an extended family of Johnson and Latendresse uncles, aunts, cousins and grandparents. He married the love of his life, Opal Erickson, on June 27, 1946 in Sioux Falls. They had 47 wonderful years together and six children. One of his favorite expressions about his family was "We're a good group". Raymond was a carpenter and very proud of his union membership throughout his working life. He enjoyed music, dancing, singing, bicycling, traveling, fishing, camping and good home cooking. He was well known for his sayings such as "It doesn't take much to doll up a rose". He was preceded in death by his wife, Opal and two sons, Kevin and Brian. Survivors include one son, Kris of Reno, Nevada; three daughters: Terressa (Todd) Ebright of Harrisburg, Kaye Johnson of Sioux Falls, Kathleen (George) Stupski of Sedona, Arizona; five grandchildren: Anastasia, Guy (Angie) Poland, Neale, Shauna, Rachel, and five great- grandchildren: Alexzander, Emma, Jocelyn, Hailey and Taylor. Visitation will be Friday, 5 PM at Barnett-Lewis Funeral Home with a Scripture Vigil at 7 PM. Mass of Christian Burial will be Saturday, 10:30 AM at St. George Catholic Church in Hartford with burial to follow at St. George Cemetery.